Well, being English and growing up as a teenager in the 70’s, well, you can imaging how much of a treat it would of been to buy something in the local sweet shop. Every town and village had them and the world changed to slow motion when you walked across the threshold of one of these establishments. the Smell of all that Chocolate, the Fizz Bombs, the Shrimp soft candy, the pearl drops, Sherbert Dips, it was all so very cool but colorful. It really was like falling into the back yard of Willy Wonka’s. 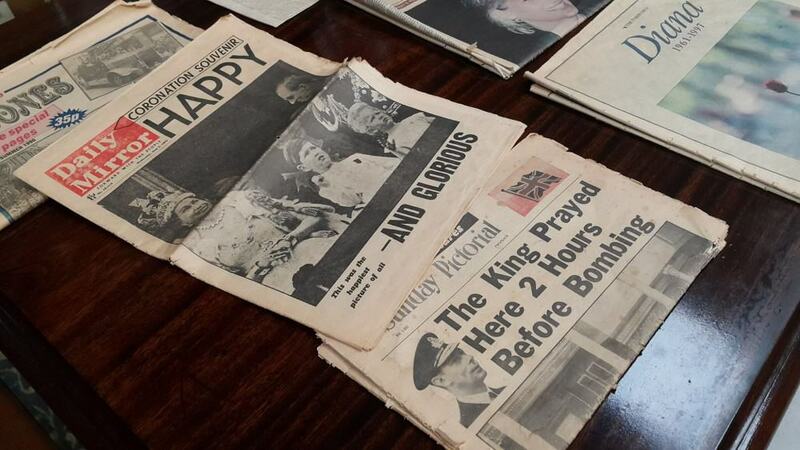 Kids today will never get it, as everything is all there and cheap today, but I remember going up to the counter and proudly asking for one or two of each like a couple of Bazooka Joe Bubblegum’s, then some white mice, Cola Bottles, Black jacks, Fruit Salads and maybe a small tube of Smarties. All plopped into a white paper bag and rushed home to sit and eat these whilst i read a copy of the Dandy or The Beano. Fun times and things you really appreciated, I thought the shops would be long gone and, many are, but some have been turned into Museums and how cool would it be to check this place out? This place is located in Bristol and if you get a chance, go check it out. 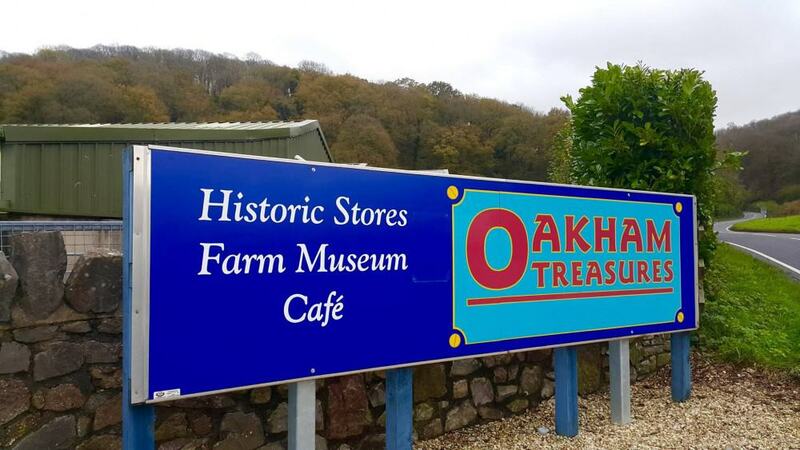 Oakham Treasures is the demonstration of one man’s passion for collecting memorabilia throughout his lifetime. The owner, Keith Sherrell, born in 1939, is a 5th generation West Country Farmer, and began collecting farm machinery in the 60’s as a sideline to his business of buying and selling used farm machinery. As Keith says, ‘I started buying a bit more, and selling a bit less. The things I really loved I kept and it went on from there’. 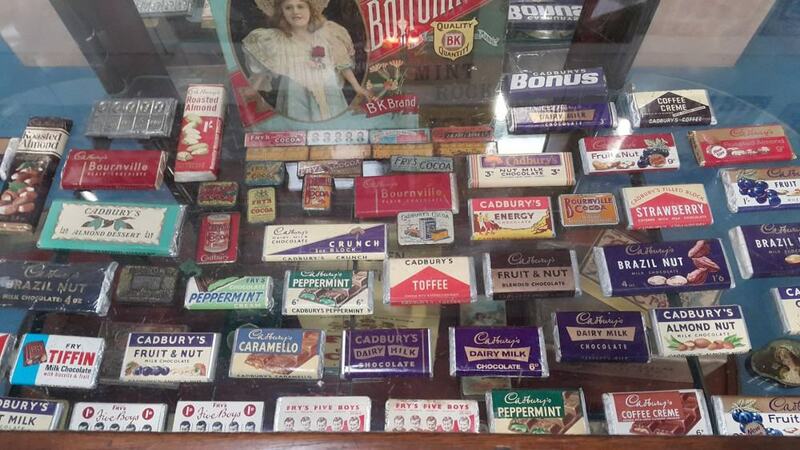 Remember that wonderful aroma when you dived into the corner sweet shop with your hard earned pocket money? Being spoilt for choice between rows and rows of brightly coloured jars behind the counter? Then you’ll love the sweet shop at Oakham Treasures, whatever your taste. From Polar Mints to Murray Mints, Brown Bros India Rock to Zubes, Fruit Gums to Fry’s Chocolate and Blue Bird Liquorice Rolls to Cadbury’s Sixpenny Cake Chocolate, this sweet tooth haven has it all! 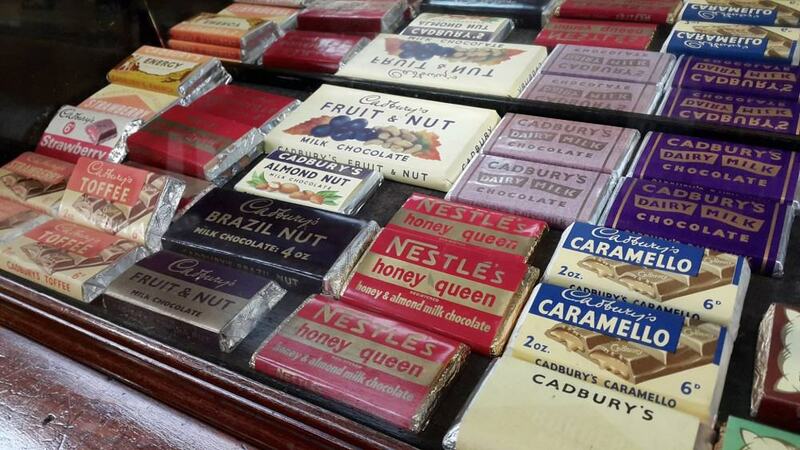 There are rows and rows of chocolates, still in their original packaging, all presented in a beautiful and traditional sweet counter. 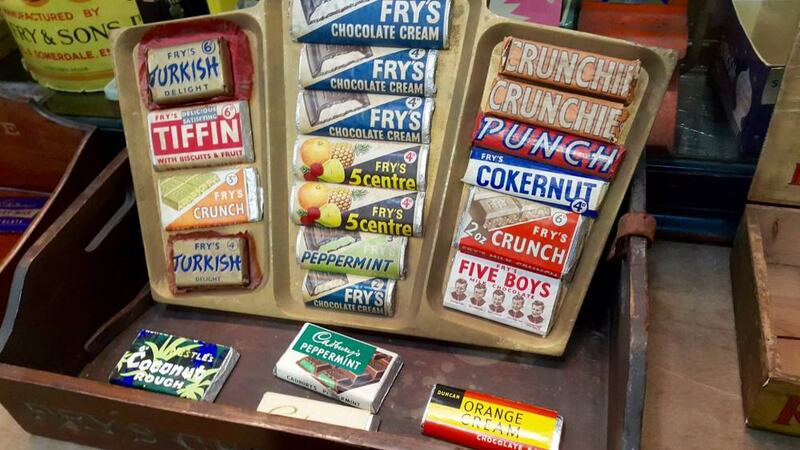 There’s even a Nestlé and After Eight Mints salesman’s display case, traditionally used by the sales representative when travelling round the independent retailers. 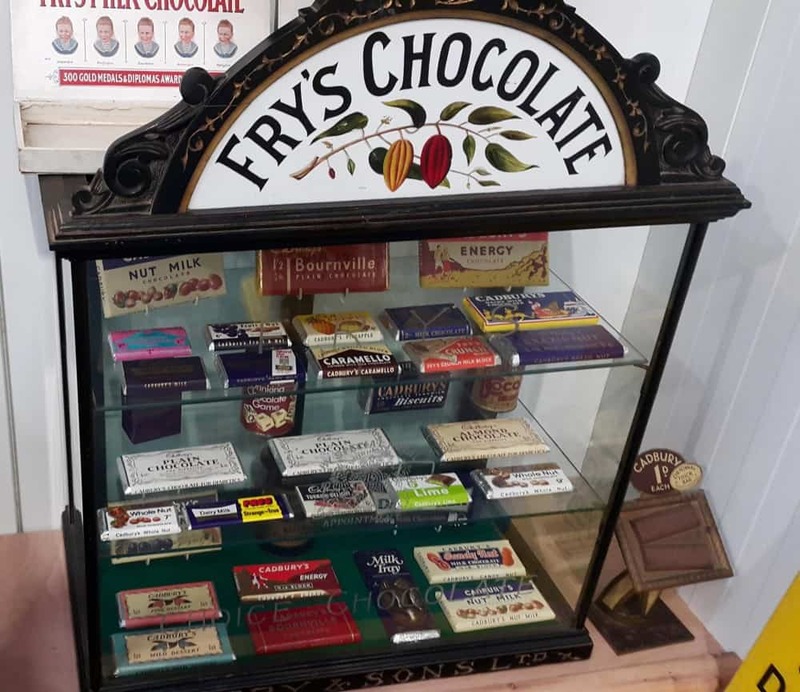 There’s also an especially impressive display of locally manufactured Fry’s memorabilia, showing the breadth of chocolate bars produced together with the original merchandising including the still famous ‘Five Boys’ advertising campaign on metal signs. 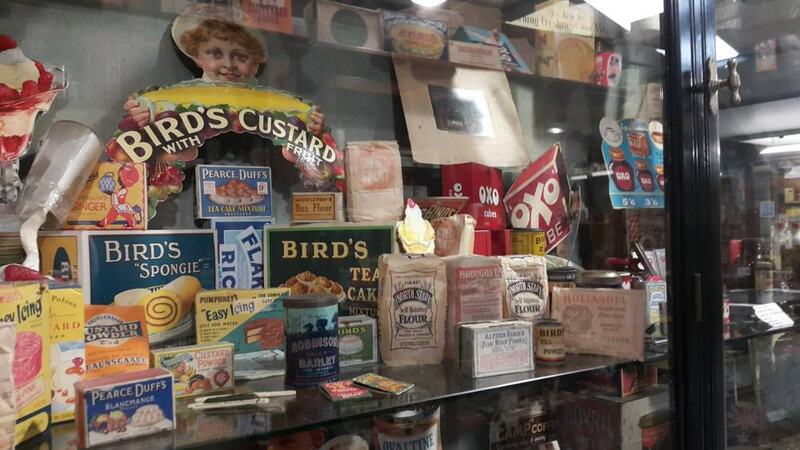 The store provides a fascinating view of the vast number of grocery brands in existence throughout the 20th century. Famous names such as OXO, Coca Cola, Colman’s, Heinz and Huntley and Palmers have all changed little in appearance, whereas others, such as Birds Egg Substitute, Smiths Crisps and Black Boy Coffee are all long gone! 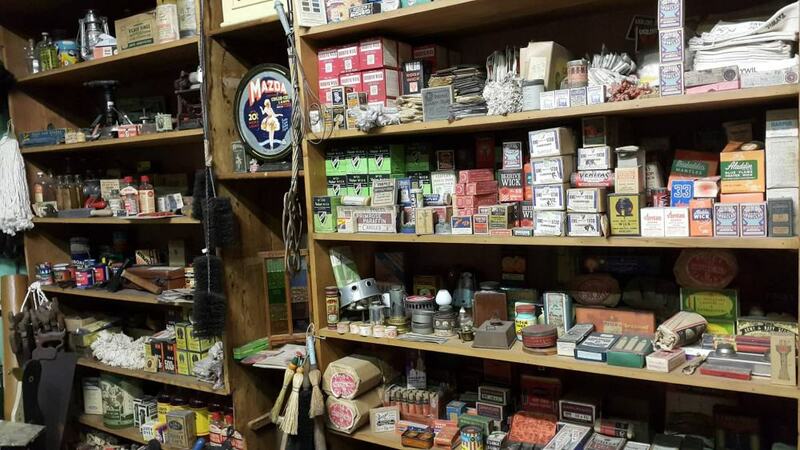 As you browse through shelf upon shelf of stock, you’ll be amazed at just how many old products you recognise from your past. Do you remember doing the laundry with Rinso, Fairy Snow, Drive, Clozone, Fab or even Omo? 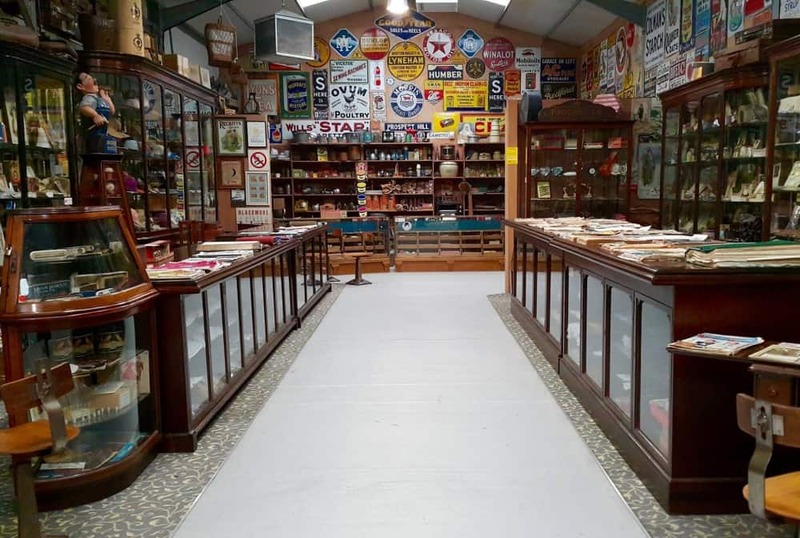 It’s all here in this vast treasure trove of grocery items, just waiting to be rediscovered by you on your nostalgic trip down memory lane! 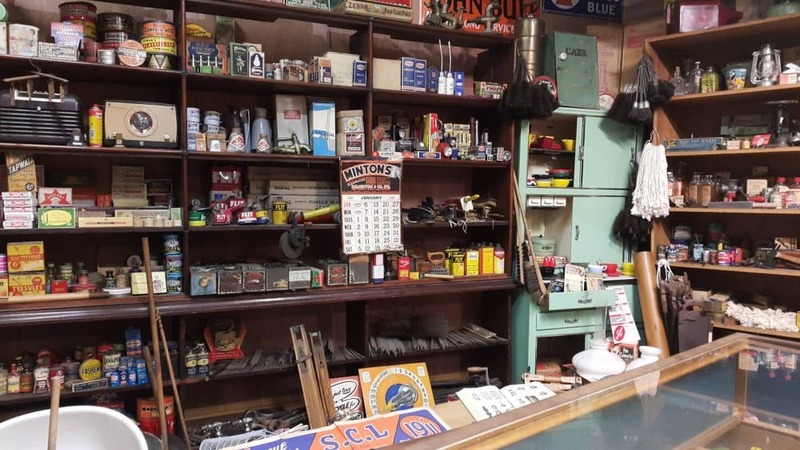 Imagine in days gone by if you needed to do a bit of DIY, or to find an every day replacement item for your home, and you’ll find it here in the hardware store. From candlewicks to clothes lines, pots to pans, tap washers, paints and varnishes, hovers to light bulbs. There is even a handy government issued leaflet giving advice to consumers on ‘What the rationing of electricity means’ to them. 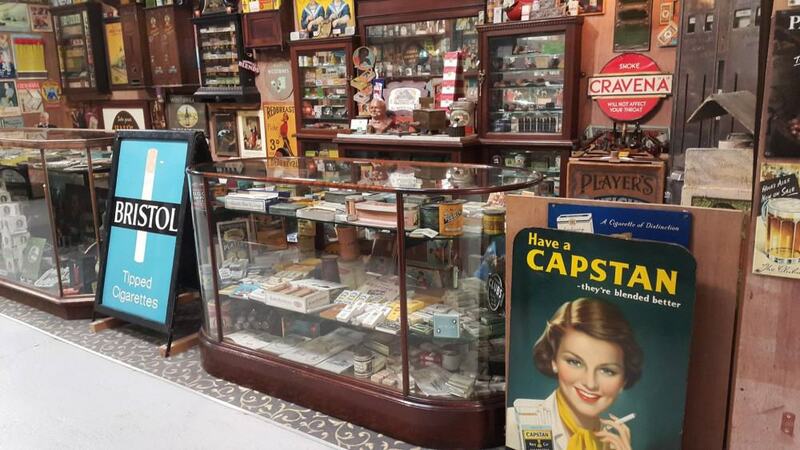 It is an Aladdin’s cave of bits and bobs spanning back 100 years. 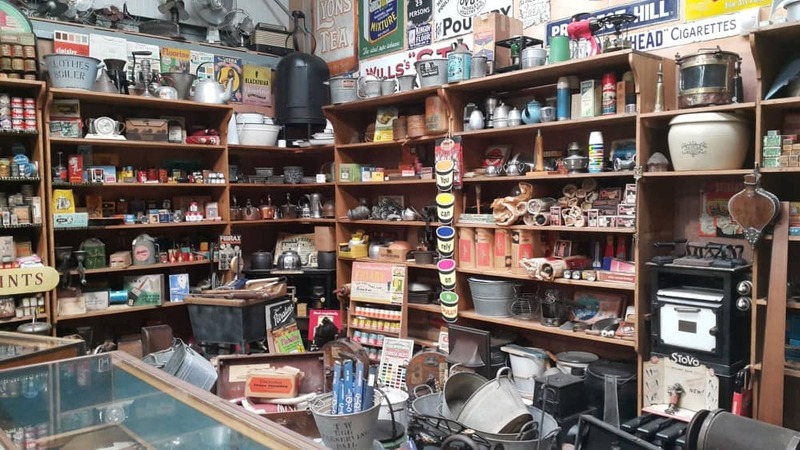 You will find yourself immersed scanning the packed shelves for handy items, recognising many, and noticing several that have only changed marginally in more recent times. One for the ladies here! A beautiful display of the more intimate apparel worn by ladies in the 30’s, 40’s and 50’s. There are beautiful mannequins showcasing corsetry from Madame Jeann, Liberty, Fitu, WIB and Gossard to name a few. Exquisite hosiery examples from Aristoc, Ballito, Dentex and Elba will take you back to a bygone era, and you can marvel at the elegance of beautifully crafted gloves and lace. 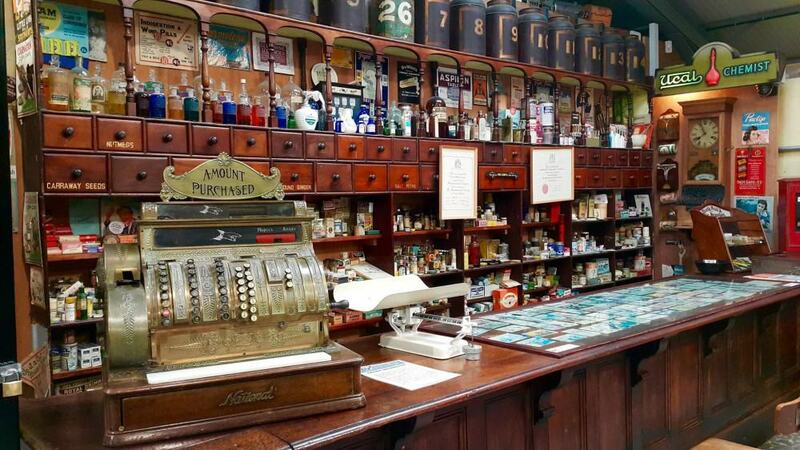 Browse around the perfumery, imagine yourself wearing the vintage hats and marvel at the vast array of buttons, cottons, dress making patterns and sewing equipment complete with several fine examples of early Singer sewing machines and chairs. 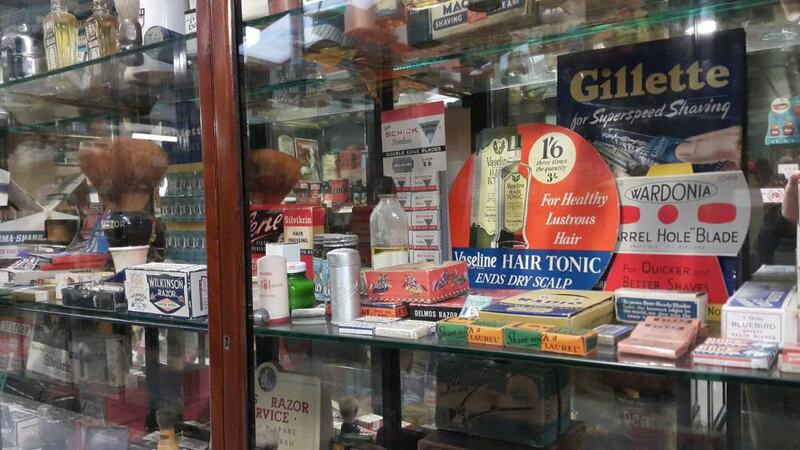 Displayed as two distinctive shops, you can take a trip down memory lane as you rediscover the vast range of alcohol and tobacco on sale in bygone years. If you like a tipple, you’ll love the display of figurines from Johnnie Walker, Dubonnet, Hennessy, Teachers, Ben Truman and Beefeater Gin. 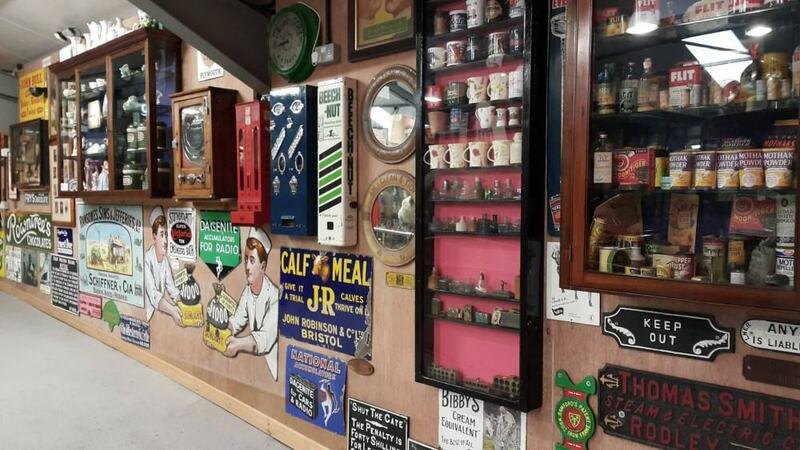 There’s a variety of rare merchandising memorabilia, including a Guinness light created out of a seal balancing a blue ball on its head, which is believed to be only one of a few ever produced by Guinness. 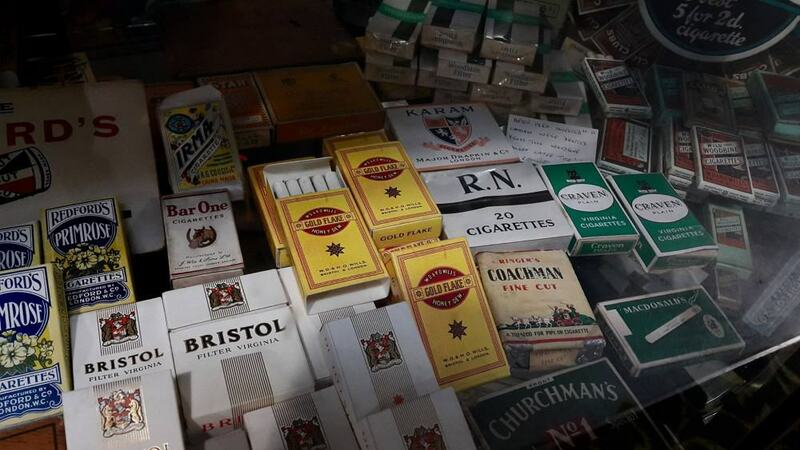 In the tobacconist you’ll find well known brands such as Black Cat, Players and Piccadilly, together with some more elusive names such as Squadron Leader, Black Beauty Shag and Baby’s Bottom! If you are into lotions and potions, then a visit to the Oakham Treasures chemist is a must. From Swamp Root, a kidney and bladder flusher, to the poisonous Boots Coal Tar Inhalant, you will be fascinated as to some of the old medical cures on offer. 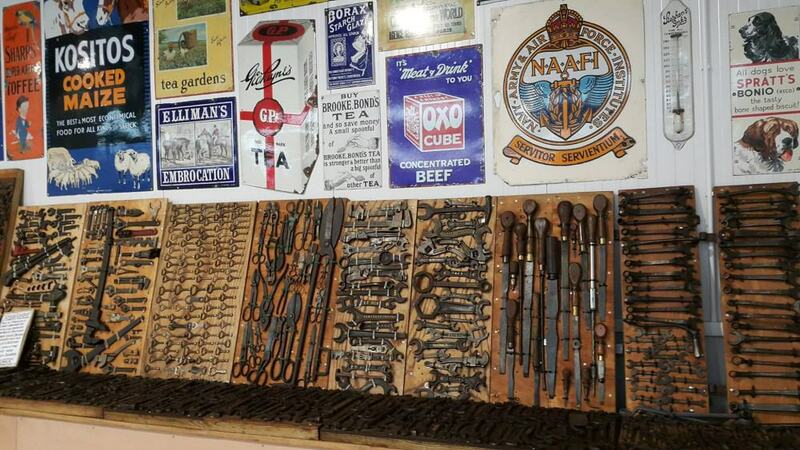 Take a peek at an old undertakers embalming kit. Marvel at the snake bite kit, complete with instructions on what to administer depending on the type of venom bite, and imagine how you would have felt if a doctor had administered you with the Buckingham enema syringe kit! There is even a beautiful old Chemist clock, believed to have once resided on the Whiteladies Road, in nearby Bristol. 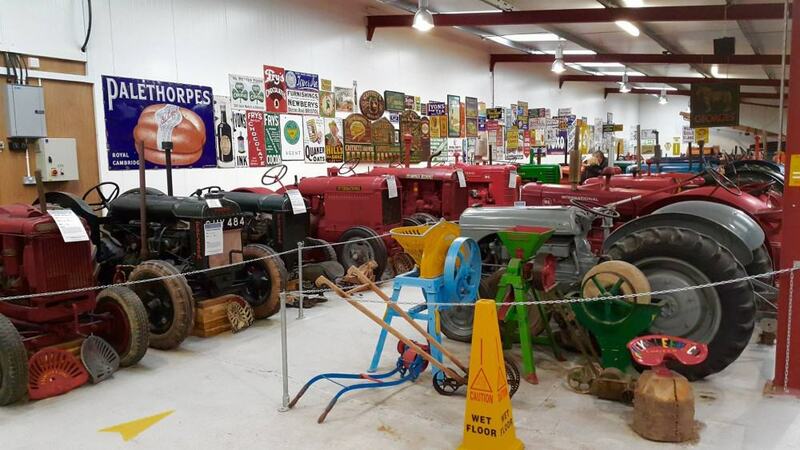 If you’re into tractors and farm machinery, then you will love this tractor museum which houses around 150 old and vintage tractors. Examples can be found from around the world and as far away as America and Australia. From Allis Chalmers to Massey Ferguson and Titan, they are all here, dating back to a wonderful 1918 Fordson. Now on wooden blocks to preserve them, almost all were in working order when they entered the museum. 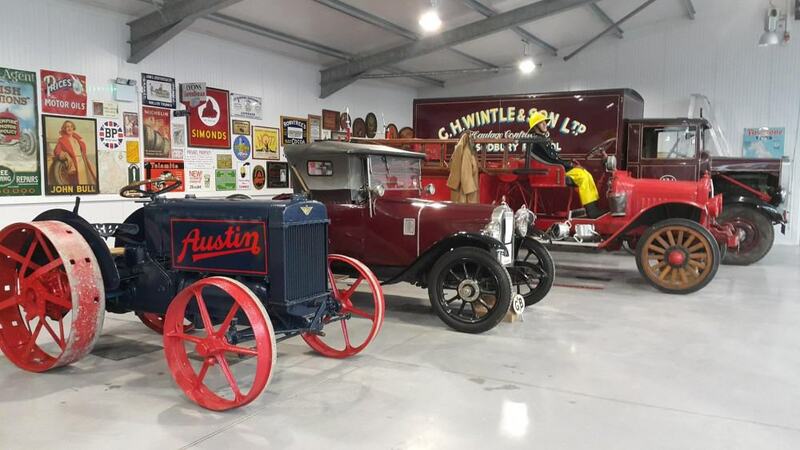 There’s also an impressive display of old farm engines, many beautifully restored, and there are many fine examples of both oil and gas fired engines dating back to 1910. 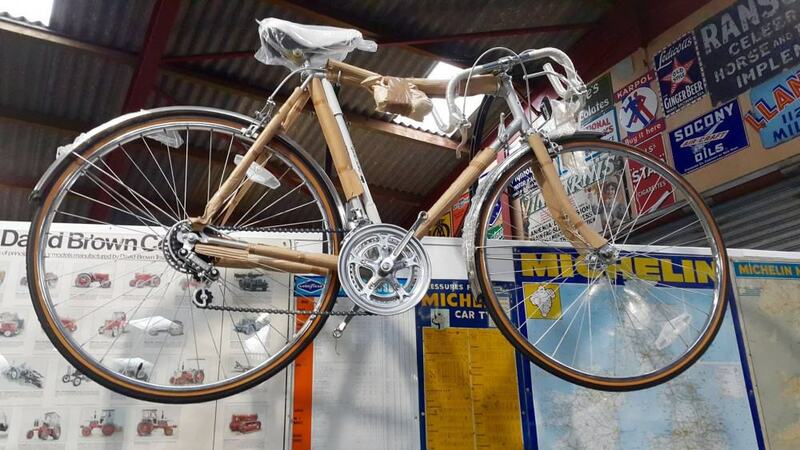 You’ll also spot a whole array of other farm equipment from sheep shearers to a potato harvester, a cider press to a hay and straw elevator, and much, much more besides. So, if you are on the South West Coast of England, go check this place out as its Colorful to say the least, memories will rush through your mind and something to remember for a long time. 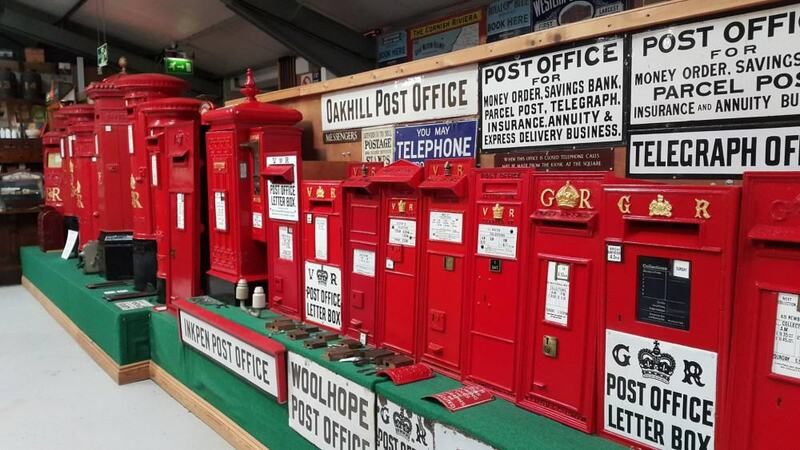 Something for everyone, from Post Boxes to old Push bikes, I know you will enjoy yourselves there and pretty easy to locate too so you can jump off the M5 Freeway and you are there. So Step Right up, and read all about it at Oakham Treasures. This entry was posted in Blog and tagged Bazooka joe, Black jacks, Bons bons, Bounty, British Sweet shop, Childhood, Comics, Curly wurly, Fizz bombs, Fruit Salad, Pearl drops, Sherbert Dip, Smarties, Sweet Shop.